It’s quite strange to find a treehouse that present so many different styles. 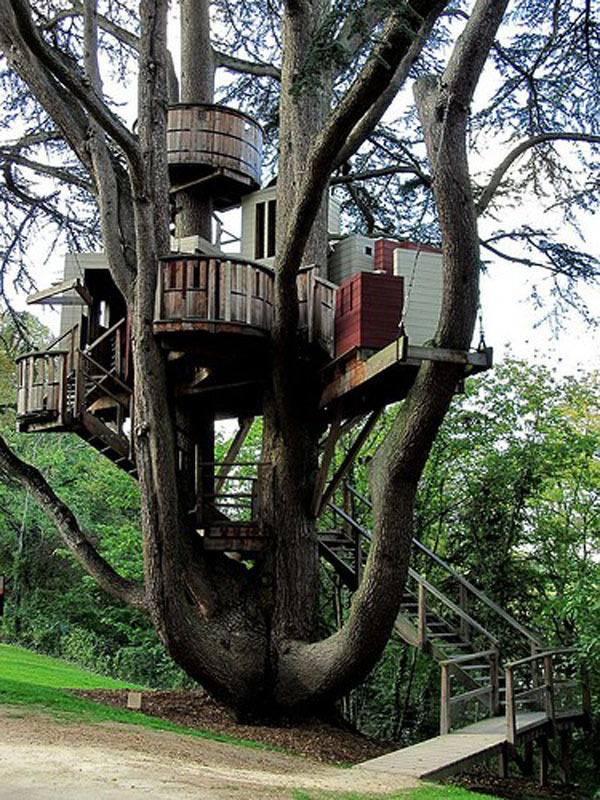 I can’t find out where this treehouse is, but it intrigues me a lot! If I had to associate this to an architect I would say that a sort of Aldo Rossi of the treehouse designed it. It’s like a ’70 style, moreover the colours, the shapes and the windows remind me a lot of his architecture. It’s very interesting the contrast between the wood of natural the curved elements and the solid and sharp-cornered of the building’s volumes.